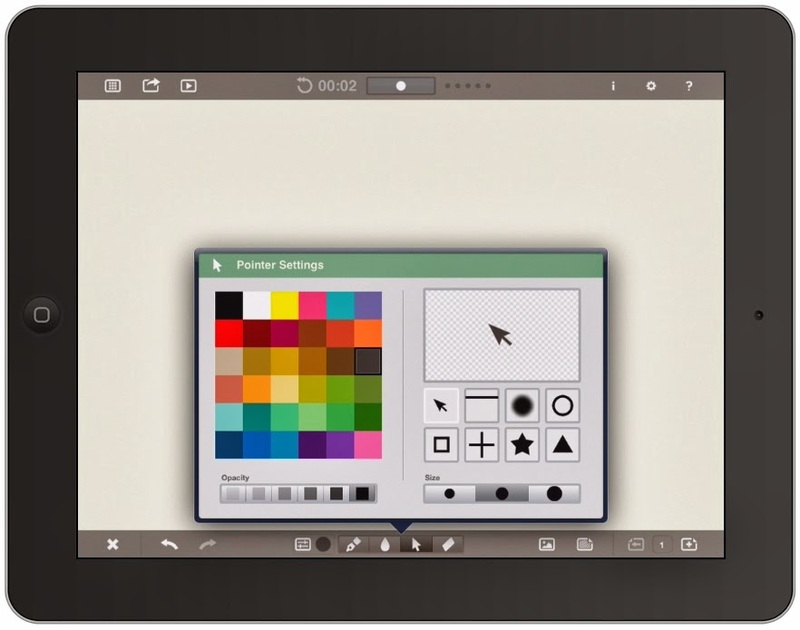 Doodlecast Pro has a clean design with easy to understand icons for students and teachers. The presentation can be paused, continued, and saved through out the process. Students can also open already saved presentations. Being able to select from multiple background images has great potential. Students can select from multiple math and language arts backgrounds, like graphing paper, a comic strip, grid, and notebook paper. There are also backgrounds for music and sports. Images from the iPad's Camera Roll can also be added to the presentation. One other feature I like about Doodlcast Pro is the ability to add multiple pages to a presentation. 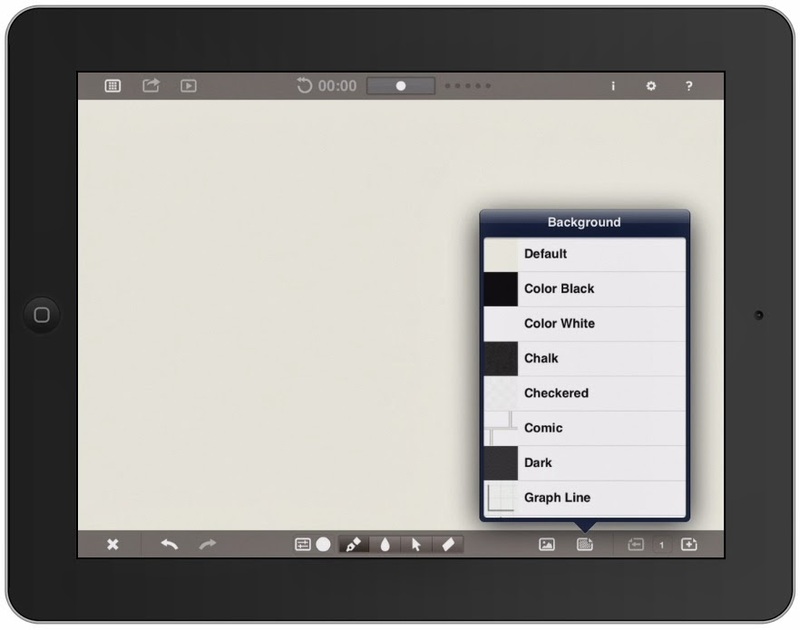 The drawing tools available on Doodlecast Pro include the pen, fill, pointer, and eraser. The pointer (shown above) allows you to change the color and shape of the pointer. The pen and fill allow you to change color and pen size. Once a presentation is created, you can share through your Camera Roll on the iPad, email, YouTube, or Dropbox. I like having share options. Student use iPads may not have a "working" email address but may have a classwide Dropbox account. 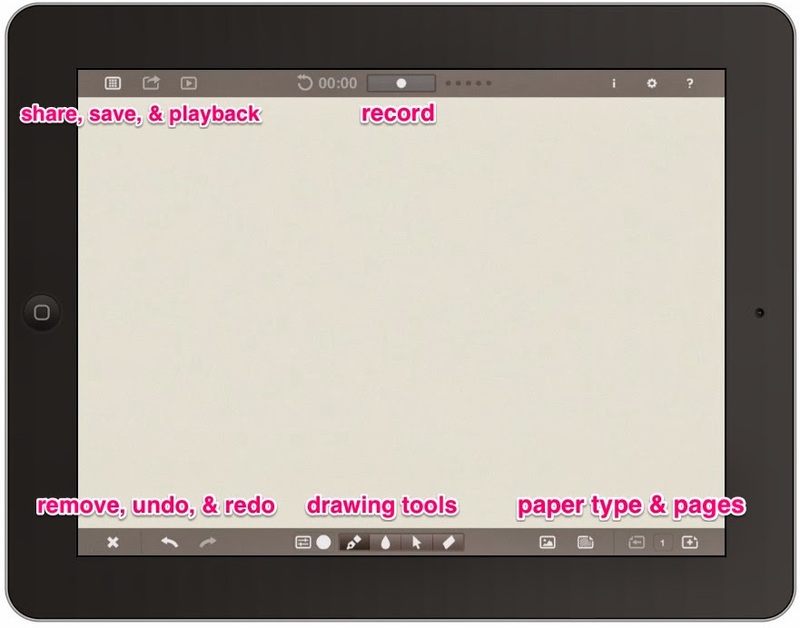 Doodlecast Pro can be used through out the school day. 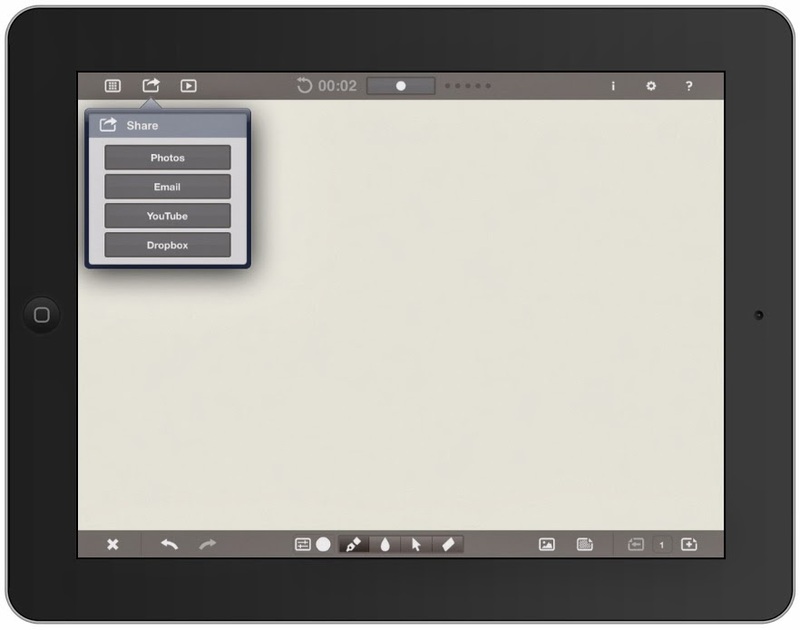 How could you use Doodlecast Pro in your classroom?